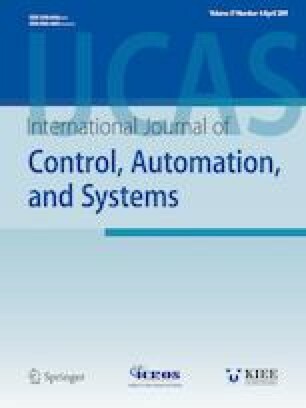 This paper addresses the trajectory tracking and obstacle avoidance control problems for a class of mobile robot systems. Two classes of controllers are designed for the mobile robot system in the free motion, respectively. A new hybrid position virtual-force controller is designed to adjust the distance between the mobile robot and the obstacles. Since the uncertainties between the mobile robot dynamics model and obstacles degrade the performance of the obstacle avoidance system, a multi-layer feed-forward neural networks (NNs) deep learning method with hybrid position and virtual-force is proposed, such that the distance between the mobile robot and the obstacles converges to an adjustable bounded region. It is shown that the proposed controller in this paper is smooth, effective, and only uses the system output. The control design conditions are relaxed because of the developed multi-layer feed-forward NNs deep learning compensator. The simulation results and obstacle avoidance cases are performed to show the effectiveness of the proposed method. Recommended by Associate Editor Jun Cheng under the direction of Editor Doo Yong Lee. The authors are grateful to the editor and the anonymous reviewers for their valuable comments and suggestions that have helped improve the presentation of the paper. This research was financially supported by National Natural Science Foundation of China [Grant No. 61473248, 61773333]; Natural Science Foundation of Hebei Province [Grant No. F2016203496, F2018203413]. Wei Zheng received the M.S. degree in Institute of Electrical Engineering from Yanshan University in 2011. Currently, she is now studying a Ph.D. degree of the Control Theory and Control Engineering in Yanshan University. Her current research interests include robust nonlinear control systems, control systems design over network, and intelligent control. Hong-Bin Wang received the B.S. and M.S. degrees in electrical engineering and automation from Northeast National Heavy Machinery University in 1988 and 1993, respectively. Moreover, he received the Ph.D. degree in Institute of Electrical Engineering from Yanshan University in 2005. He is currently a professor in the Institute of Electrical Engineering of Yanshan University. He is the associate dean for the institute of Electrical Engineering, in 2008, and the dean of Liren institute, Yanshan University, Qinhuangdao, China, in 2016. He is the (co)author of many books, and about 60 papers, get about 10 national invention patents. As (a)an (co)-investigator, he was finished and carrying out more than 31 projects, supported by Key Construction Program of the National “863” Project; National Natural Science Foundation of China (NSFC); Natural Science Foundation of Hebei Province of China, and other important engineering project foundations where applied practically. Zhi-Ming Zhang received the M.S. degree in Institute of Electrical Engineering from Yanshan University in 2011. Currently, he is now studying a Ph.D. degree of Control Theory and Control Engineering in Yanshan University. His research interests include robust nonlinear control and fuzzy control. Ning Li received the B.S. degree in Jilin Institute of Chemical Technology in 2017. Currently, he is now studying an M.S. degree of Control Theory and Control Engineering in Institute of Electrical Engineering from Yanshan University. His research interests include adaptive and multi-agent system control. Peng-Heng Yin received the B.S. degree in Department of Electrical Engineering from Liren college, Yanshan University in 2017. Currently, he is now studying an M.S. degree of Control Theory and Control Engineering in Institute of Electrical Engineering from Yanshan University. His research interests include adaptive and multi-agent system control.